Limit of detection (also known as the minimum detectable value) is the quantity value, for which the probability of falsely claiming the absence of a measurand in a material is beta, given probability (alpha) of falsely claiming its presence. Linnet, K., & Kondratovich, M. (2004). Partly nonparametric approach for determining the limit of detection. Clinical chemistry, 50(4), 732-740. Currie, L. A. (1999). Detection and quantification limits: origins and historical overview. Analytica Chimica Acta, 391(2), 127-134. Sadler, W. A., (2016). 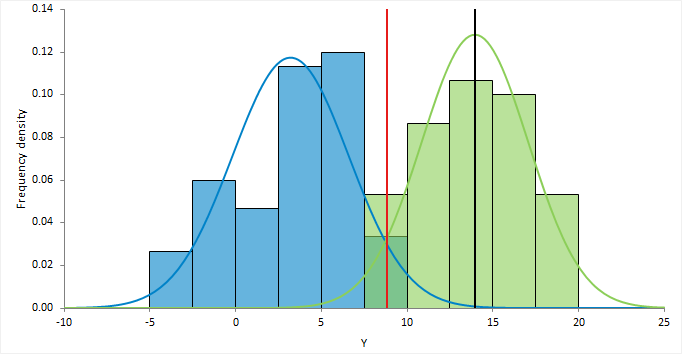 Using the variance function to estimate limit of blank, limit of detection and their confidence intervals. Ann Clin Biochem, 53, 141-149.